The Parade Marshall was Col Mike Bowles (ret’d), a 1982 veteran and former chairman of SAMA82. Escorts to the colour party were provided by Royal Navy reservists from HMS President and sea cadets from Pangbourne College. A Royal Marine buglr sounded the Last Post and Reveille. Brig. 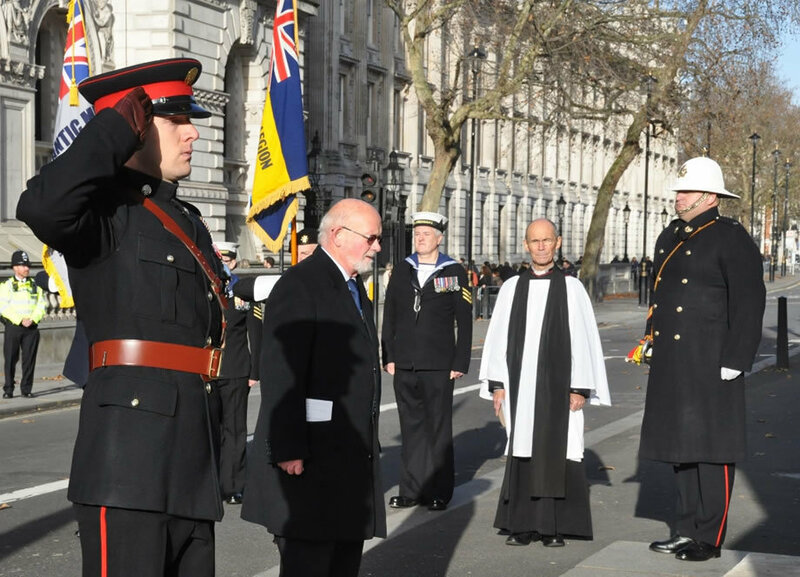 Aldridge inspected the parade I front of the Foreign & Commonwealth Office (FCO) before their dismissal. 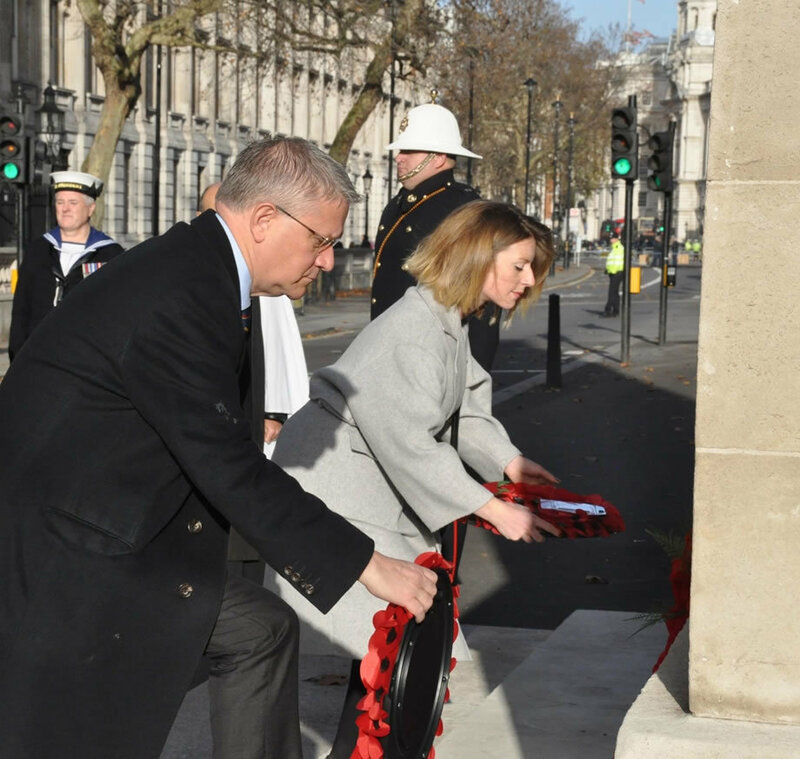 Members and invited guests then moved to the Royal United Services Institute (RUSI) at 61 Whitehall for the FIA’s Annual General Meeting and luncheon.